Whatever topic you want to teach, it’s likely that Ji’s library of thousands of games & activities already has it covered. And you’re free to edit and adapt them for your own school or curriculum. 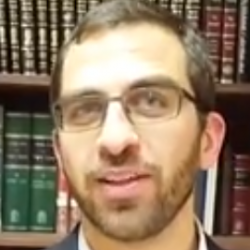 Ji is used in all types of settings: Orthodox, Conservative & Reform. From Arnee in Arizona to Zvi in Zimbabwe. 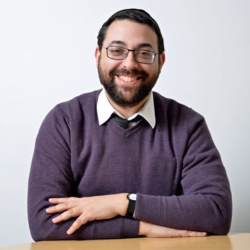 We just want to make it easier for schools and parents to deliver the best Jewish education in accordance with their own beliefs & Jewish ethos. 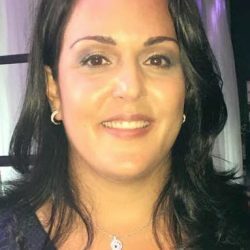 We’re a non-profit dedicated to enabling schools, educators and parents to deliver Jewish & Ivrit education using modern tools. We’ll supply all the training, workshops and support you need. 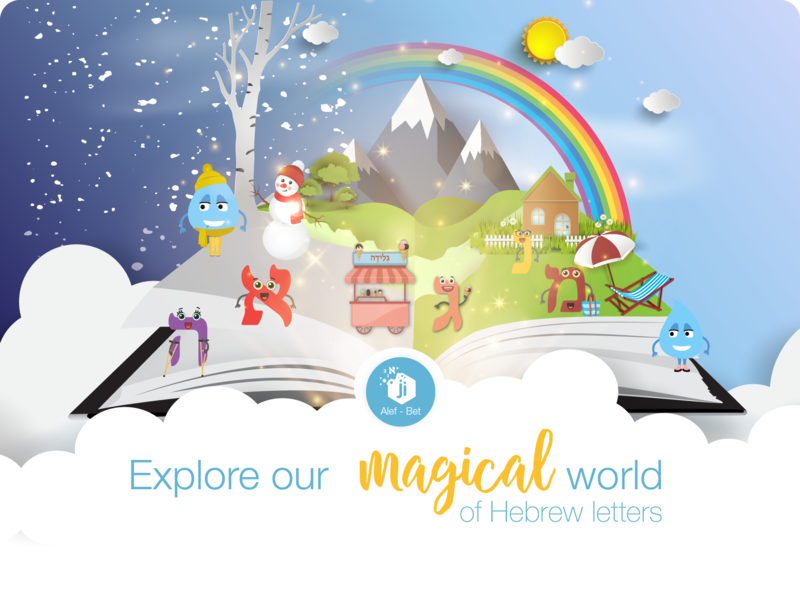 Developed as a course within Ji Tap and aimed at children aged 5 and 6, the Ji Alef-Bet series is about learning the Hebrew letters in a fun, interactive and innovative way. 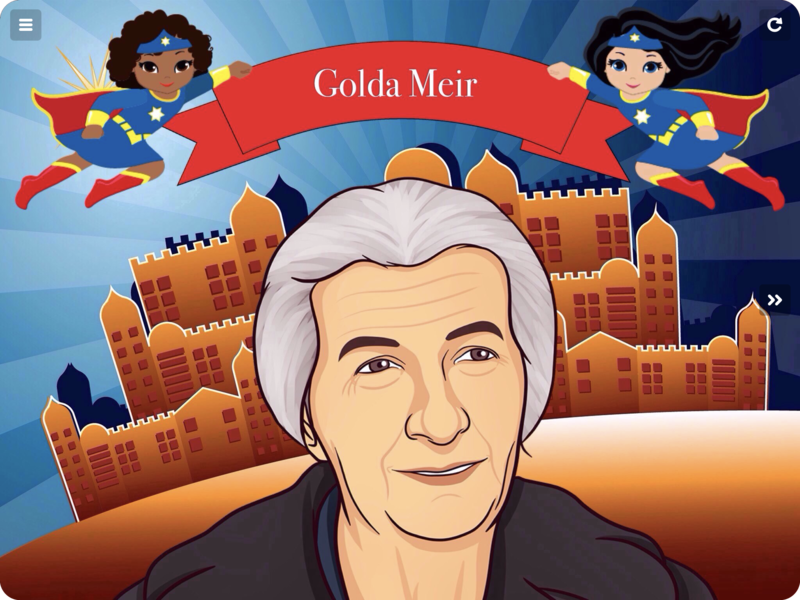 A series of lessons representing the most fundamental aspects of what makes a hero. They stood for what's right, no matter the consequence. They protect human rights for no personal gain. They exude confidence and dignity in the face of adversity. 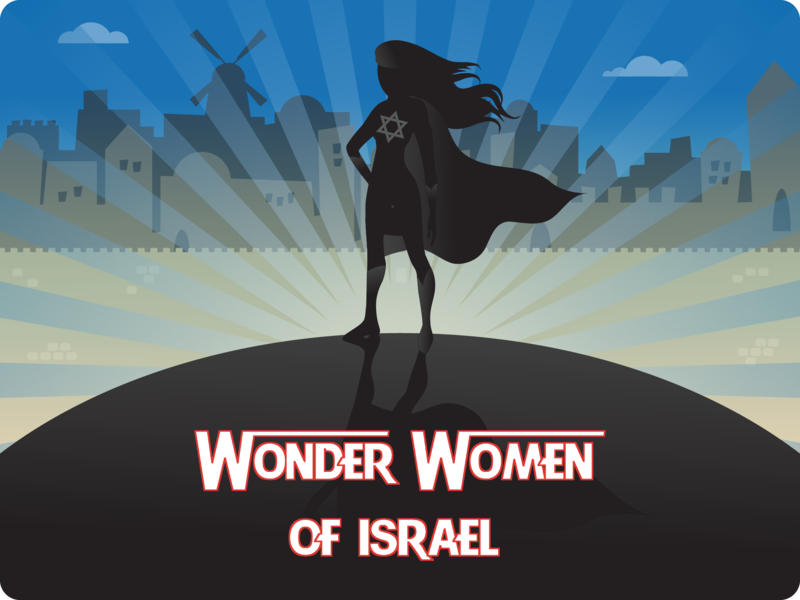 In this course, children will get to know the Israeli Wonder Women. Ji Prime is a flagship partnership between Ji and each participating school. 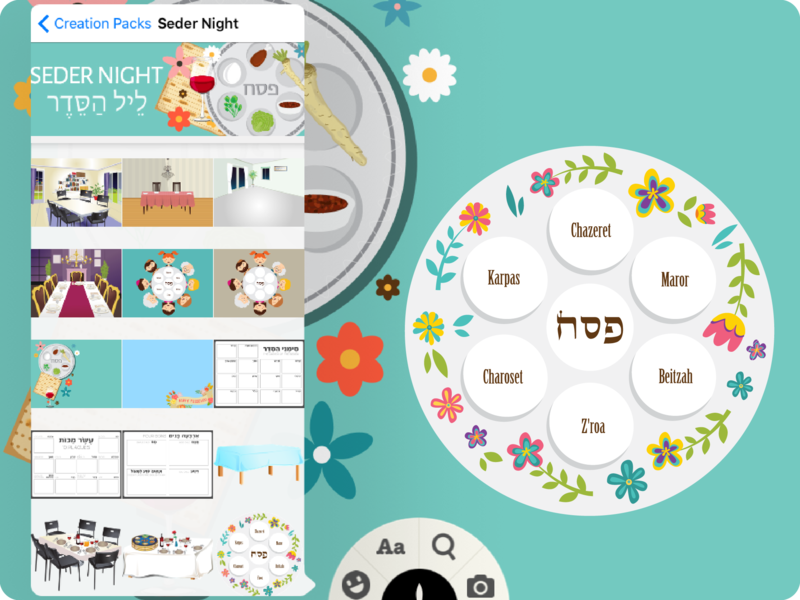 We implement your school’s specific Jewish Studies or Ivrit curriculum in Ji Tap via completely customized games, activities & courses. This makes it easier than ever for teachers to deliver captivating, effective lessons; and hugely reduces administrative burdens. 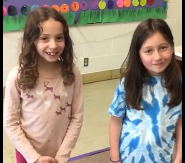 Research finds that Ji Tap is an innovative gamification program that has much potential to help in Judaics, STEAM subjects, and general learning at elementary and middle school. 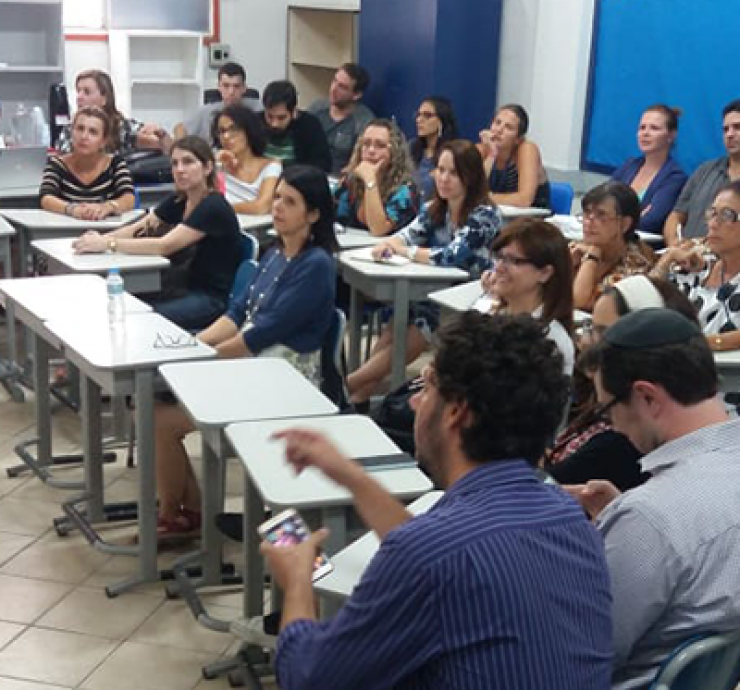 Jewish Interactive was recently in South America (Brazil, Uruguay and Argentina): Anat trained 286 teachers in 15 Jewish schools in 3 countries, reaching over 10,000 learners! 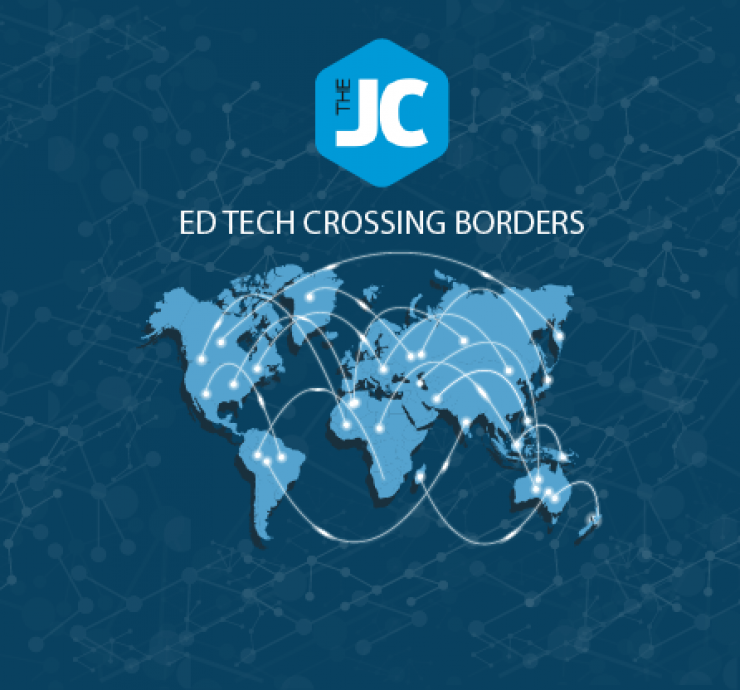 Jewish Interactive (Ji) hosted a conference earlier this month on how to use technology for Jewish education for 23 teachers from 13 countries across Europe. 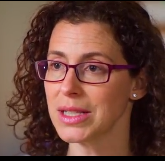 Jewish Interactive operates all over the world. Our work has no international boundaries, as we broaden access to high quality Jewish education everywhere. 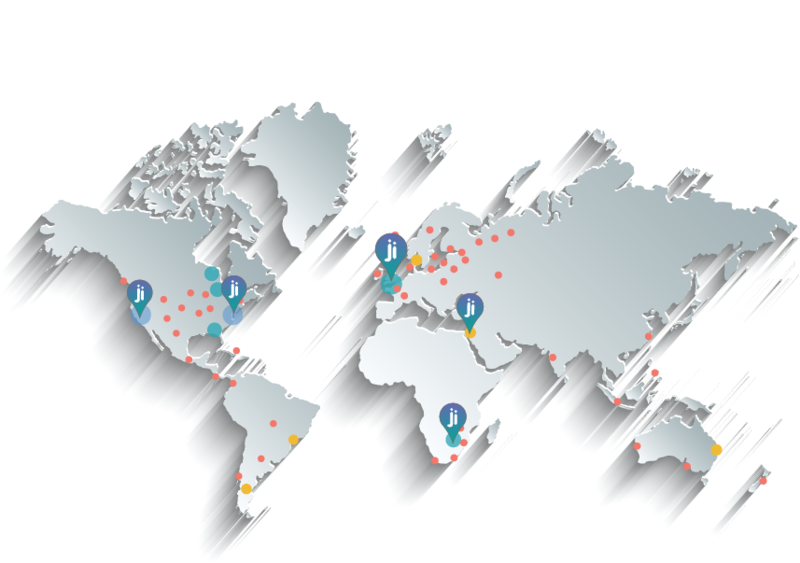 Our headquarters are in London, UK, but we have staff based in the United States, South Africa and Israel. 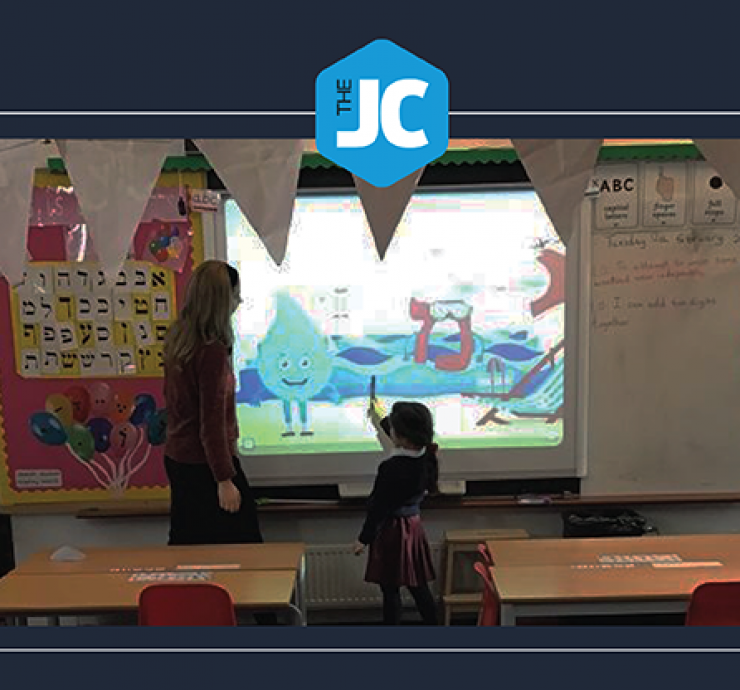 Teachers in our staff who have started using Ji Tap in the classroom love the creation and sharing capabilities with other educators teaching similar topics and age groups. 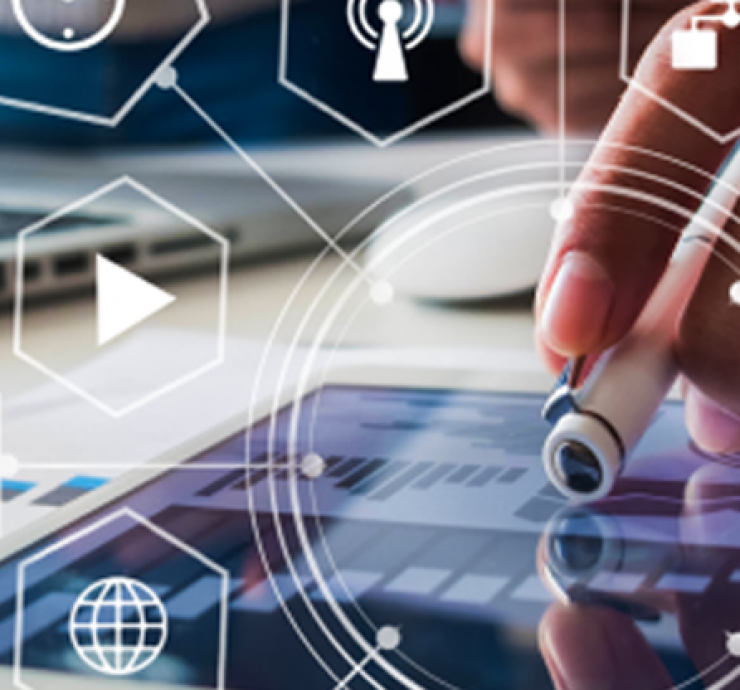 Using the rich creation packs as well as interactive layers helps enhance the learning experience for students by bringing the material to life. Ji Tap makes class a lot more fun that writing on paper. My favorite thing about Ji Tap is that if you want to connect Harry Potter to Israel’s Independence Day, you put in a picture of Harry Potter with a wand and an Israeli flag. I also love creating games and playing games that other kids have made. 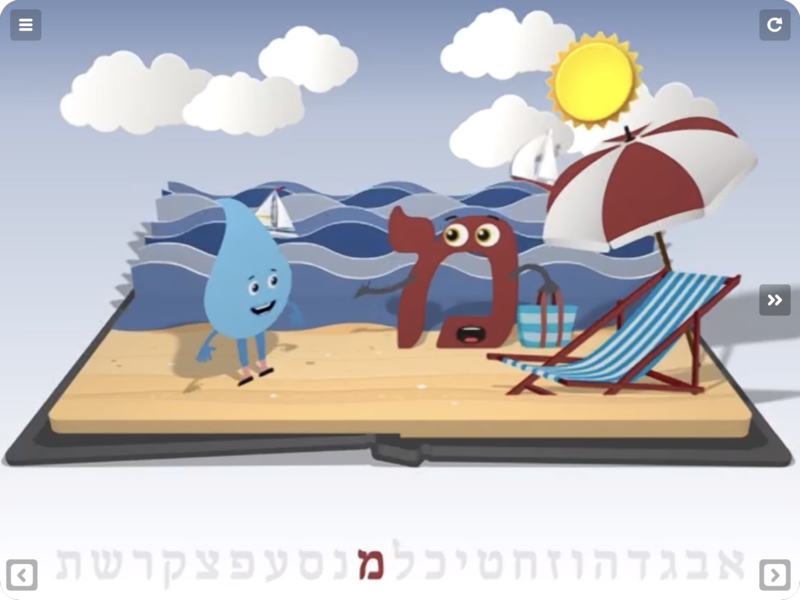 I want to tell you, because of Ji Tap, my children are learning Hebrew and English simultaneously. For my children, you are not only teaching two children, you are also saving their souls. I reaffirm that they have achieved educational rehabilitation, thanks to Ji Tap. I think this tool, Ji Tap, is going to be very, very useful for our school for many different subjects. 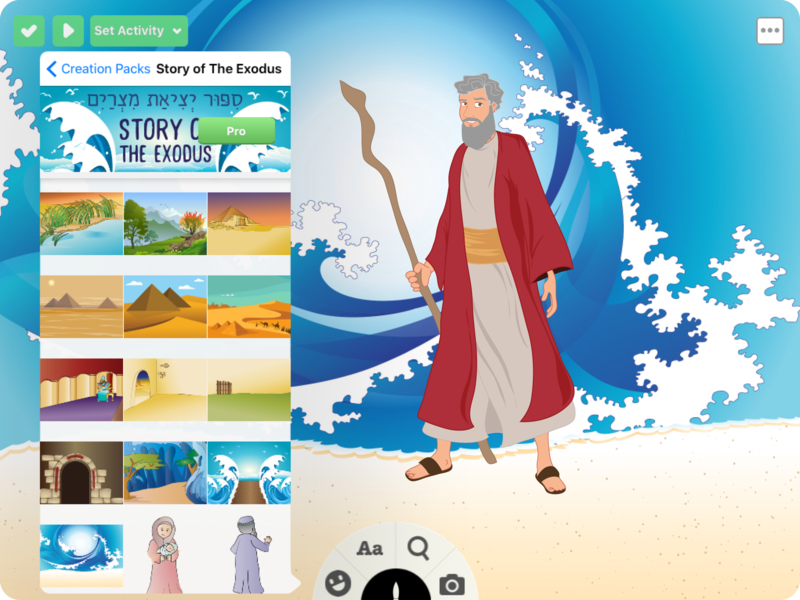 We’re teaching Hebrew and other traditional subjects like Chumash and Gemarah. We can use it for teaching itself and for assessing the students. I’m looking forward to enhancing Jewish learning in our school with Ji Tap. In the last three months, I have found that I have been able to get 100% engagement from students and have been able to improve their grades. Ji Tap is a fantastic resource for our students. 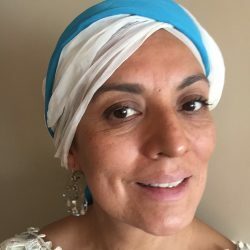 The fact that I can create customized activities for my students means that I can create activities in exactly the way that they need them to be so that they can learn and participate to their maximum potential.